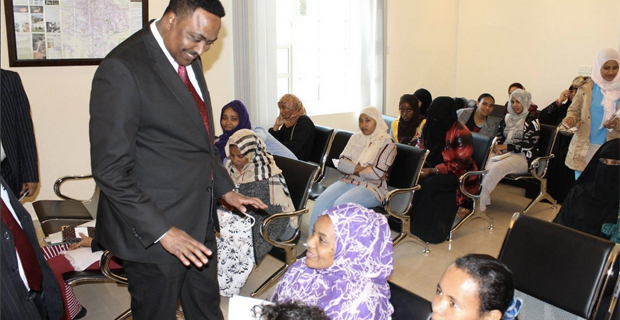 Foreign Minister Worqneh Gebeyehu (PhD), in his official visit to the United Arab Emirates (UAE), met Ethiopian expatriates at the nation’s embassy there, a very small portion of the 100,000 Ethiopians making a living in the federal monarchy. His visit followed a meeting with Nasser Bin Thani, minister of Human Resource & Emiritization of UAE. The two discussed the necessity of fast track overseas labour agreements where the countries have been negotiating for two years. His visit, found to be unanticipated for some Ethiopians who came to the embassy to get consular services, is meant to hasten the process of setting doable legal framework with the intent of ensuring safety of Ethiopian nationals working in the UAE. Worqneh has also met his UAE counterpart, Abdullah bin Zayed, conveying his government’s desire to cooperate in trade and investment.